And Babycakes and I may or may not have had 2.5 slices for breakfast after yesterday morning's photoshoot... OK, we did, and it was awesome!!! And I didn't even feel that bad about "pie for breakfast" because, heck, there's 2 full sweet potatoes and 2 cups of quinoa in there!! #superfoods Speaking of superfoods, it is my daily goal and passion to nourish my family and pack in the best foods into every meal -- like quinoa, chickpeas, greek yogurt, kale, sweet potatoes, pistachios etc... so I have been trying to come up with more creative ways to use them. This really is the backbone of this lovely holiday dessert. And it's so simple to make! There's only 5 ingredients: cooked quinoa, brown rice flour (to keep it gluten-free, but sub regular all-purpose if you want), ground flax, butter, and maple syrup. 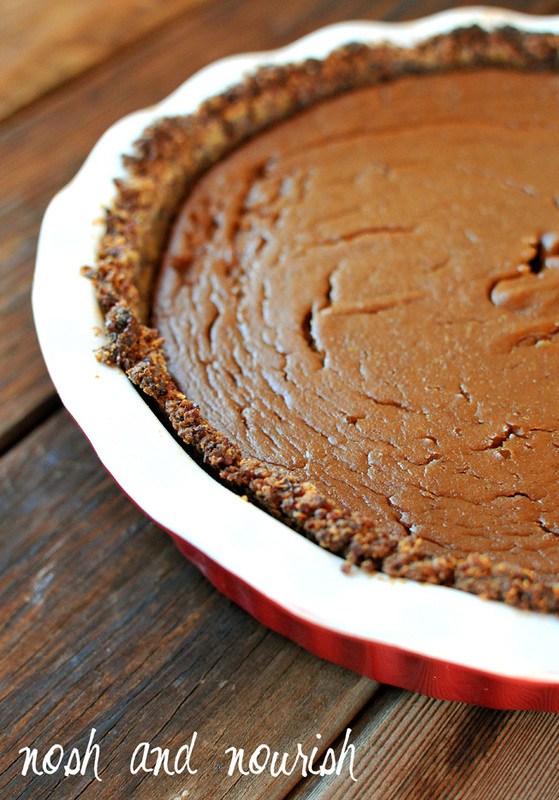 I really do LOVE pumpkin pie. I even have weird rituals about it. But, I might make this instead for all future holidays! It was that good!! 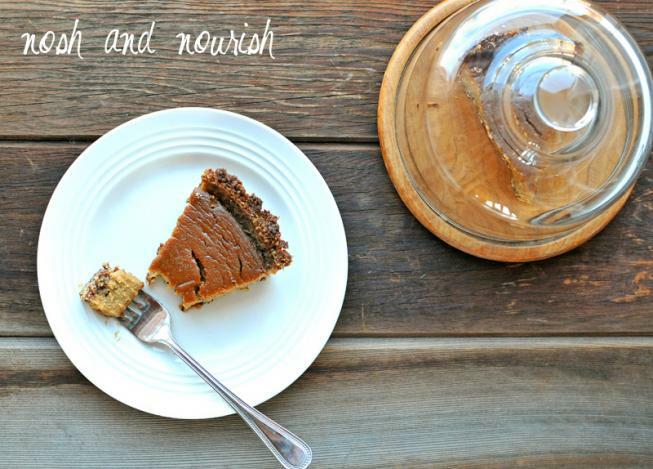 What's your favorite kind of pie to eat during the holidays? 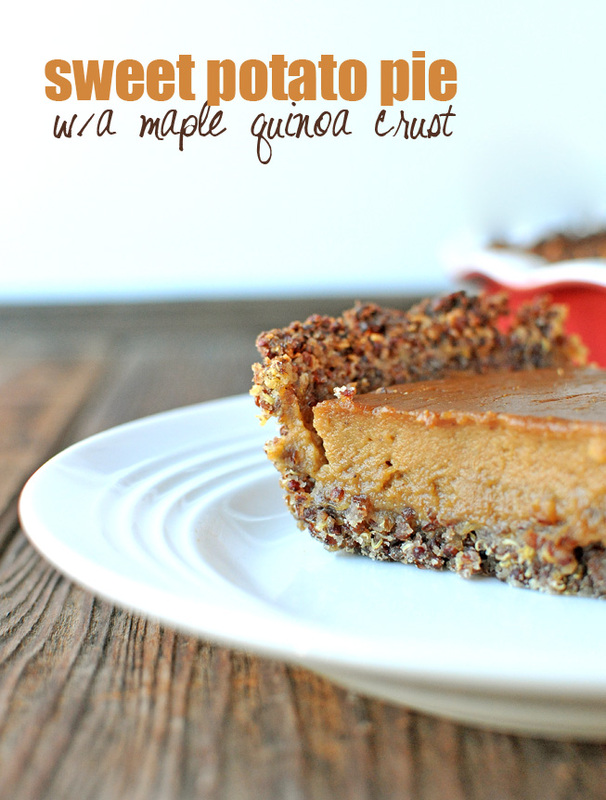 Prepare the crust by stirring the cooked quinoa, brown rice flour, flax, and maple syrup together. 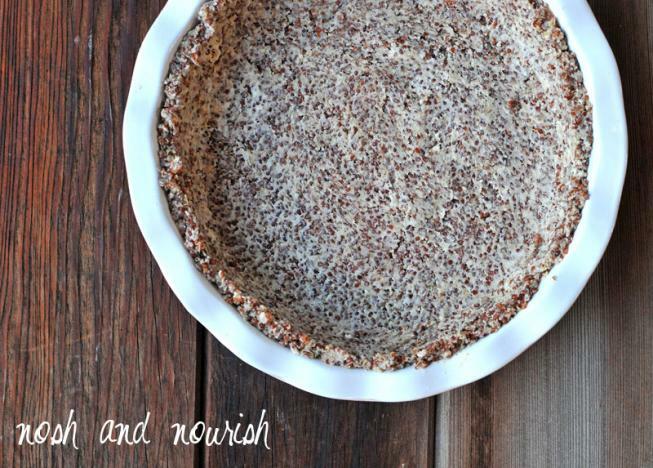 Press the quinoa crust into a pie plate that is either greased with coconut oil or sprayed with non-stick spray. Peel, dice, then boil the sweet potatoes in water to soften -- approximately 20 minutes. Drain the water and put the sweet potatoes in a medium mixing bowl. Add the almond milk and use an immersion blender to puree. Pour into pre-baked quinoa crust.